Loyal to our vision for changing the world of hair restoration, we continuously invest in research and development in order to contribute to the health and well- being of all patients suffering from hair loss and scalp disorders. Apart from our partnerships with public European universities, we are collaborating with the School of Medicine of the National and Kapodistrian University of Athens, Greece on the study of stem cells in hair follicles and the emergence of new perspectives in hair restoration. 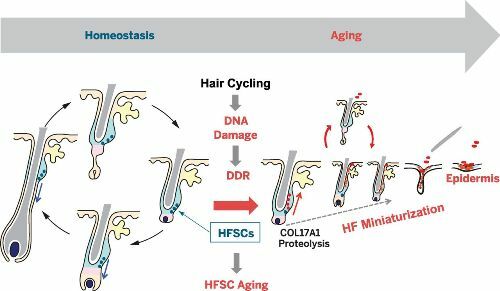 This research project entitled «Study of human hair follicle stem cell niche: highlighting new perspectives on human hair restoration» aims to study the characteristics of stem cells of hair follicles in humans and their immunological microenvironment in order to clarify their role in the cycle of renewal of hair follicles, the regeneration of hair and therefore the effectiveness of follicular transplantation for the restoration of hair growth.